You read that right, CryptoWars, the first fully decentralized strategy game in the world, is now available in alpha. And with a prize pool of $2,500, things are bound to get competitive. Get ready to be glued to your computer for a month — Gameunculus is already fixed on his — because CryptoWars, Experimental’s first game, is launching its first tournament ever to test its alpha version publicly. The Tournament will start December 15th , and will go on for a month to end on January 15th. The player with the most Quantum Dust collected will be the lucky winner of the biggest prize consisting of $1,000. Register to play and you can win part of the $2,500 they are giving away. Not in fiat, but the next best thing; cryptoprizes in ETH, CASH, or Experimental Tokens. You name it, they got it. 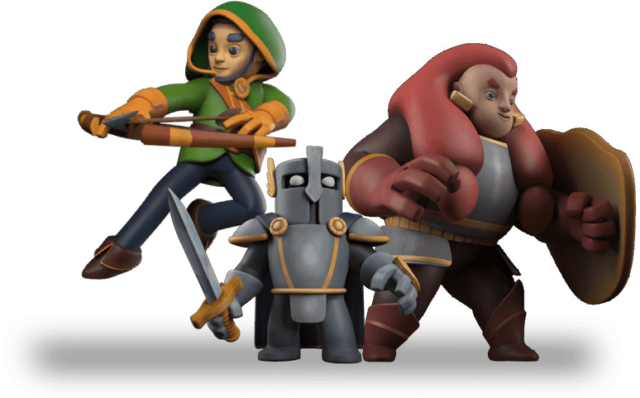 The Experimental Token (e11) — an Ethereum-based ERC20 token — will be the coin used as in-game currency in all games developed by the Experimental platform. So…what is CryptoWars exactly? CW is a strategy game in which you can build and customize your own village, build your civilization from scratch, form alliances with other players, go to war and fight over other kingdoms among many other features… all of this in its very own dedicated blockchain using the Loom SDK. This enables players to make transactions without any cost, unparalleled security, etc. In addition to this, players won’t need MetaMask or any other wallet in the beginning! You can go to CryptoWars’ marketplace and find GEN-0 skins for your characters, as well as starter packs to help you in battle. All of your assets are NFTs. If this isn’t enough to get you rushing to their site, then nothing is. Find Gameunculus on Telegram and Twitter and start creating your army!